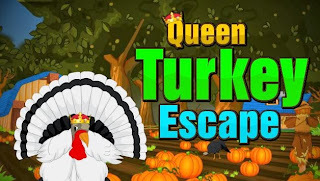 Queen Turkey Escape Walkthrough Solution. Full step by step guide with all the instructions that you need to solve the game "Queen Turkey Escape". 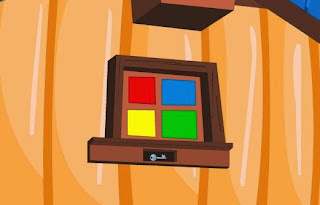 This walkthrough will include tips, tricks, help, and detailed explanations to all the puzzles. If you are stuck, then this guide will get you out! 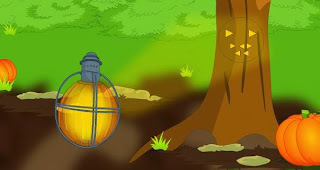 About Queen Turkey Escape: Queen Turkey Escape is a type of point and click new escape game developed by wowescape.com. Do you like Turkeys? 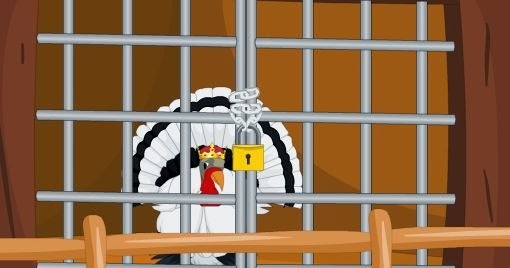 Tomorrow is thanksgiving day and someone trapped the Queen Turkey in an unknown place for their thanksgiving day dinner. She is feeling sad and there is no one near to help her out. 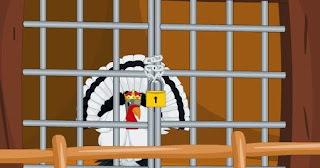 Use your sharp mind to escape the Queen turkey from that place. And give a chance her for giving thanks to you in thanksgiving day. Can you do it? Good Luck and Have Fun ! 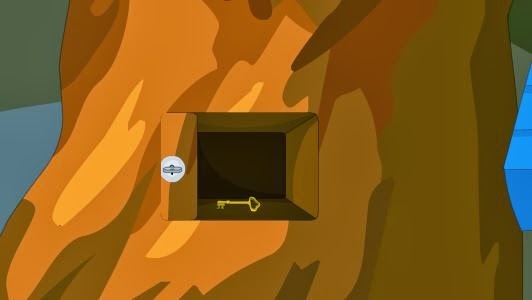 You can play the online version of this room-escape game for free here. 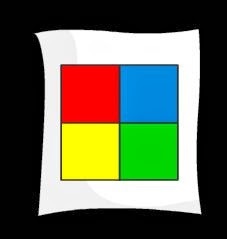 This is a medium difficult escape game and should take you between 30 and 60 minutes to complete. Take the skull from the lower left pumpkin. 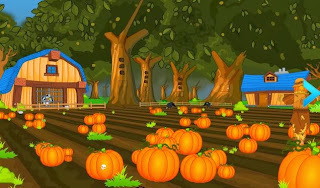 Move the green grassy patch in from of the big tree on the right, and take the pumpkin. Take the box of matches from the scarecrow. Zoom in on the box, take a match and light it. 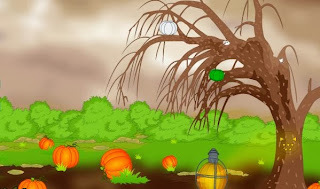 While you are zoomed in on the scarecrow, take the white pumpkin and white bird at the house. 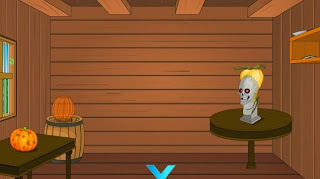 Move the scarecrow's left hand to get the golden key. Open the house behind the scarecrow with the golden key. Enter the house. Take the snail at the window. Zoom in on the bottom left side of the turkey cage. Take the white bird. Zoom in on the bottom left pumpkin group. Take the small far-away pumpkin. Move the very left side pumpkin and take the snail. Zoom in on the top left side of the pumpkins. There you will get a snail and bowl. Zoom in on the middle left side. 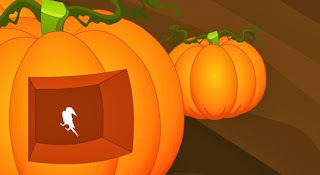 Take the small pumpkin. Zoom in on the bottom middle pumpkins. 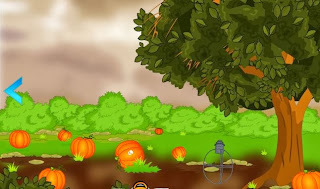 Move the pumpkin and take another snail. Zoom in on the top right turkey (the 2 turkeys are top right side of the field). Take another skull. Zoom in on the top left turkey. 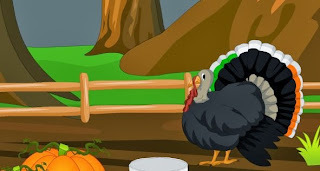 Place the bowl in front of the turkey. Place all the snails (5 snails) inside the bowl. The turkey will eat them. 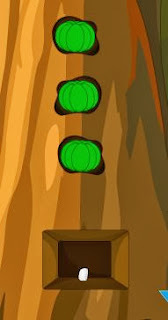 There are 3 trees with 3 openings each. Zoom in on the right-most tree. Take a white skull from the bottom left grass. 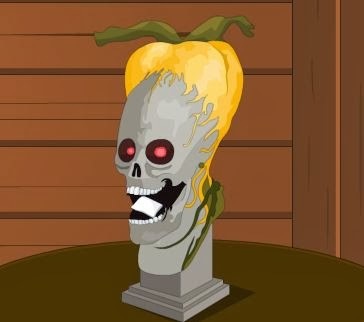 Take another skull from the pumpkin. Zoom in at the base of the tree, move the pumpkin and get a snail. Insert the ball into the metal container. Take the green pumpkin, white pumpkin, white skull, and white bird from the tree. 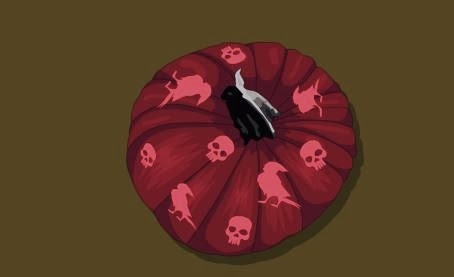 Insert the 5 skulls and 4 birds into the pumpkin. Hint: each item got specific slot. 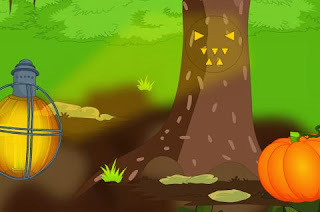 Click on the red pumpkin and remove the white stone in the center. Zoom in on the center tree of the 3 trees with the 3 holes. 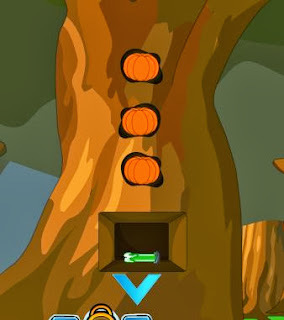 Insert the 3 green pumpkins on the left tree. Take the second white stone. Zoom in on the window above the turkey cage. 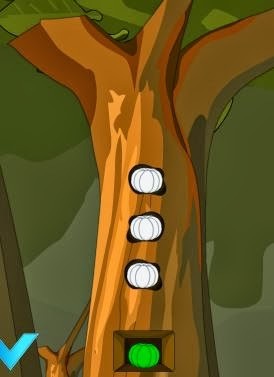 Zoom in on the locker on the right-most tree. Zoom in on the turkey cage. You have saved the turkey. Hope you enjoyed the walkthrough.